A tour of this site is sure to satisfy your hunger for adventure. Located in what is commonly known as the Mayan Biosphere Reserve in Peten, the ancient Maya city of Tikal in Guatemala offers an experience unlike any other. 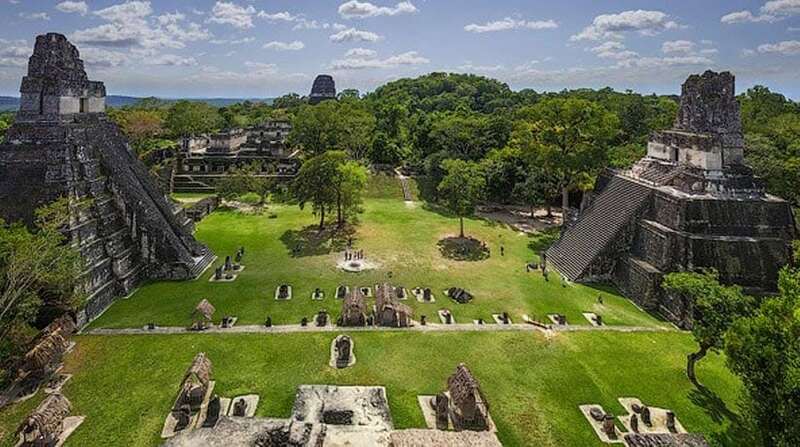 Discovered by a local gum collector, this city was one of the most powerful kingdoms, and at the height of its rule, was home to almost 120,000 Mayas. In 1979, UNESCO designated the ruins a World Heritage Site, a national symbol and a source of pride in the past. Tikal remains one of the best preserved, and most understood Mayan sites to date. The city is a crucial part of Tikal National park which aside from housing the Mayan Temples, palaces, and remains of small dwellings, and tombs, is also home to a large variety of flora and fauna. This includes 5 jungle cats, various ant eaters, monkeys and a vast variety of birds. The landscape contains a mixture of savannas, lush forests, wetlands and various freshwater systems which is a part of the Maya Forest, and one of the conservation gems of Central America. Add a tour of Tikal to your list on Mayan Ruins in Belize, this site is sure to satisfy your appetite for adventure even-though its located in Guatemala. Visit Tikal and learn about ancient history. Climb the highest temple rising up to 154 feet and hike the dense Rainforest rich with aromas of earth and vegetaion. Plan a trip to Tikal and enjoy the pleasures of nature. Make sure to bring your cameras so you can take back a small piece of this enchanting experience. You might also need water, insect repellent, and a hat or umbrella, sun screen, money or credit card in case of shopping.